I’m sure there will be confusion over the fact that we are posting a new comic after we officially closed the book, so I’d like to take a moment to clarify some things: This is just for kicks, so postmortem comics will abide by very different rules than the official comics of past: There is no schedule, no set artistic style, and they should only be treated as a delightful bonus. Speaking of delightful, I just finished off the Golden Temple in Donkey Kong Country Returns, and Retro Studios has really outdone themselves. This is how you do classic platforming gameplay in 2010. The entire game is dripping with excellence, and the only part that makes me sad is unlocking some of the amazing concept art that never quite made the cut. Well, as mentioned in the last podcast, I felt strange calling Ray and telling him I had a comic idea. I didn’t know how he’d react, but I didn’t expect him to respond with, “I had a comic idea too!” Maybe our layoff from comics was long enough and complete enough that we’re a little hungry to put something out there again. Certainly there won’t be hard deadlines as in the past, but without the pressure, I’d imagine that the quality will remain high for whenever we do have something new to show off. Anyway, thanks for sticking around…BEYOND THE GRAVE!!! [Underyx] My favouritve webcomic has returned. I feel like I need to play and/or like Donkey Kong to fully get it, but at this point I really don’t care whether I get it or not. It’s nice to see another comic. 😀 And it’s been FAR too long, so sorry, gotta do it: Rouge. How random is it that after months I decide to check here for any new comics and there just happens to be one published today? :D!! That exact same thibg happened to me. Completely odd. Also, Rise from my grave! YAYS! Well I guess I’ll be first to give y’all a “NCG” this time! Shame on you to say that, I have been listening to previous podcasts, only every ten or so… But loving them and the comics are…were brilliant. P.S Rise from my grave! Can’t wait for this game to come out in the UK, it’s out the same day as the Mario All-Stars re-release so there’s 2 bouts of Nintendo love for us. Liked this comic, as a fan of DKC (I have original cartridges bought on release day of all 3 games!) I understand this comic perfectly. The art on the balloons balloon is great! When I have to stop and think “how the hell did he do that?” it’s usually a sign of something excellent. Great to see a new comic from you guys. Mark doesn’t get the comic. EVERYONE PANIC. I knew you couldn’t stay out of the game for too long, though- you making another comic was inevitable. I’ve been a 2P START! fan ever since I saw your Mario Kart comic on Deviantart long ago… But I just recently got an E-mail address, so now is my first time commenting, after the comics seemingly ended. So I’m now officially RISING FROM BEYOND THE GRAVE!!! You JUST got an email address? It’s 2010, man. Anyway, was just arguing with a friend over whether or not 2P Start did a certain joke before another comic we were discussing, and look what I discovered! Glad to see you guys still appreciate us (like we ever doubted that, pfft). I’ve tried going to other comics for a few times, but I just can’t get into any others. My heart remains with 2P Start. Do more comics soon, please! Ha, well, I recently got an E-mail address not because I’m out of touch with technology, but because I’m pretty young and I have overprotective parents that didn’t really want me to have one. Haven’t played the game yet, but I know balloons used to represent lives, so I’m assuming, what with the quote, that they still are and this joke is about how easy it is. I wonder if comment of the week will come back to?!?! I praised you so I should win. Oh, absolutely. I don’t know why I need to say this, seeing as FDW already said it, but it isn’t a joke about how easy the game is and how plentiful balloons are (although they ARE plentiful, and thank goodness for that!). It is a joke about how many lives are NEEDED to get through the ridiculous levels. No, this game is the hardest I’ve played in a long time. That glorified level skip, the Super Guide (which I don’t use) gives the designers a much needed excuse to make hard levels, since it won’t make newbs get stuck and feel alienated. It’s a zombie comic from beyond the grave! Quick, grab the shotguns and sunflower seeds!! Sunflowers won’t do much without Pea Shooters or Cherry Bombs. Awesome! I love that the comic will still continue on! As for this one…the artwork’s sweet, though I feel sick because I just don’t get it. Is there something in DKCR or in the significance of his holding all those balloons that I’m just missing? Level-up + Up = Donkey Kong holding the balloons. I think it’s good x]! Here’s the reSTART team’s reaction. NCG, hope there’s more postmortem’s to come! Oh god, I just realized that that I pluralized ‘postmortems’ with an apostrophe. EDIT. THE ONLY THING I CAN FEASIBLY COMPARE THIS TO IS A CROSS BETWEEN DEEJAY ATOMICA AND ADAM YOUNG. THIS IS MY NEW FAVORATE COMIC SIMPLY FOR IT’S EXISTANCE. by the way, GUESS WHAT MY SCHOOL IS SELLING IN THEIR SCHOOL “C.A.R.E” STORE. The world is at peace again. W….what? New 2P Start! comic? OMGWTFBBQ THIS IS THE BEST DAY EVER. Haha, NCG. Glad to know 2P Start! comics aren’t COMPLETELY done with. Wow, most of the people that haven’t been leaving comments on the Postmortem Podcast have RISEN FROM THEIR GRAVE and posted on this comic. Either way, nice comic. I was able to play DKCR and really enjoyed it. Hope to see some more of these soon! No hurry! Well I never did come to 2P start for the podcast so when the comic was gone I was gone. :3 Nothing against them, I just don’t enjoy people talking for hours straight in general. Is this gonna be weekly or is it gonna update whenever? Heck YES!!! 😀 I have waited for the day when I can say NCG once again. … I just KNEW you’d post a comic again. I KNEW it! How many of you “PEOPLE” think that you could pretend to have the site die? Uh-huh. I didn’t think so. Awesome comeback comic! But the quote kind of throws me off like, does it have any other purpose besides making the comic look more like a movie poster? Or is there a punchline I’m missing. It just doesn’t make sense with the rest of the comic to me. There very much IS a punchline you are missing. In DKC, red balloons represent extra lives. DKCR is very hard so you die a lot. The joke is that that’s how many balloons DK needs to finish this adventure, and it is indeed necessary (and thankfully easy, due to Cranky’s shop) to rack up a massive stockpile of red balloons. Hey triforcebun, I just thought that your posting logo would be a lot cooler if it had Kirby pushing tim and ray aside or standin between them. Also,NCG GUYS! I love it and understood it well. I nearly passed out when I learnt there was going to be a new comic, and I fear 2prestarts comic may be telling the truth. Also, thanks, I bet my friend $20 that you were gonna make a new comic, so now I’m richer! You guys are the backbone of awesome, define epic, and are the best thing since sliced bread. There is nothing that can beat you (sorry Matt), youre like the move roll out in pokemon, you come back bigger, stronger, and better. If there was a museum of best gaming webcomics, you would be there. If the president was kidnapped by ninjas, you would be there. You are everything that a webcomic is and more. 30 balloons on 6-K? That’s nothing. I haven’t played 6-K yet, but today I lost nearly 50 on 5-K, not counting the 30 more it cost me going back through for a puzzle piece I missed. Does this mean you two just raised from your graves? The one that Ray hates. This comic used to be dead. Well well well. I really didn’t think I’d see the day. I’ve been a long time fan of 2P Start, I don’t remember what episode I started on but it was pretty early, mid twenties maybe? I only discovered your podcast after you had closed shop on the comic and I have been listening to them, from the start of course and am on episode 93. I though it was great that I could still enjoy new (to me) episodes of 2p start after the comic had finished. I am in fact rising from my grave (though I’m not sure you guys still do that in the post mortems?) the reason that I haven’t commented before is that read a hell of a lot of webcomics and don’t have time to comment on all (or any) of them but I’ve been an avid reader, and now feel that I really have to comment seeing as you’ve gone to the trouble of producing another gem after I’d thought you’d closed your doors forever. hmmm… I had a feeling it wouldn’t be long ’til we got postmortem comics. Anyways, NCG. I don’t completely get it but, whatever. This comic used to be good. And it is again. 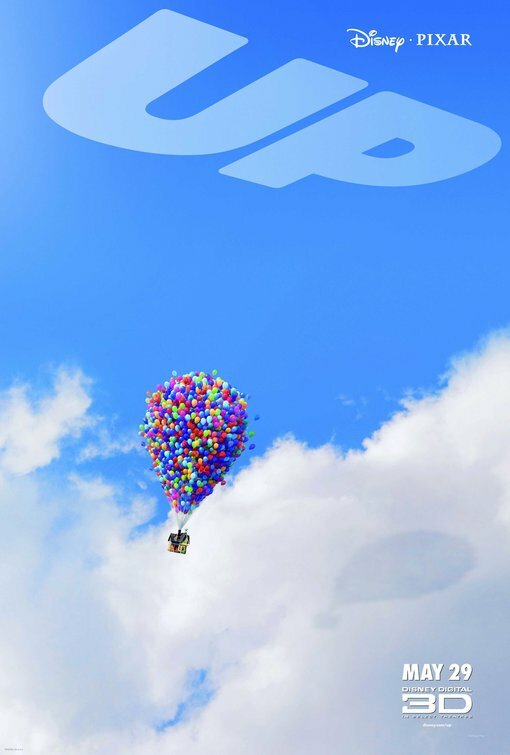 This poster is kinda reminds me of Pixar’s Up. You kidding me? Obviously it’s Finding Nemo. I don’t get it unfortunately. Nice artwork. My guess about its meaning is that Ray likes the game and Tim doesn’t? Here’s something that might interest you. We had to design and build a fictional website for a yearly festival here in the netherlands for school and I feautured Ray in the program. Grave Rising SuperSonic Shooting Star is Grave Rising. Although it’s not Grave Rising because I first knew about the site after 3rd Portsmortem. And I partially edited your wikipedia to make it maybe suckier. Check it and if it really is suckier, change it for the better please. Sorry for sucky english ’cause now you know one more international 2PSTART fan who is me living in South Korea. Never expected this. Looks like you guys got an extra life or something, lol. Sonic Colors is a good game worth a rental from anyone. It just has some minor issues with stiff controls and an unbalanced scoring system. This is certainly on the right track, but I know a Sonic game can be capable of much more, and I think you probably do too. Sonic 4 is a poorly made game that doesn’t actually know what it wants to be. It claims to be ‘an all-new adventure’ but lacks any serious originality, breaks fundamental Sonic traditions without any kind of benefit, and doesn’t hold up to gaming standards in 2010 on many levels. Sonic 4 is a mess, and Sonic Colors is a good game that could use a little work. My faith is only restored in that we’re much closer to the goal of having Sonic games with the right focus and the right quality, but it’s unclear to me whether or not Sonic Team actually has the skills to inject true excellence into these projects. Ray, please answer me this question. I’ve been asking/commenting about it in a round about way on several of the podcasts and now I’m trying to be more direct. Have you played Sonic 4 on your 360 or are you still just referring to the iPhone version? I have played and beaten both the iPhone and 360 versions (and collected all of the achievements as well). I love your comics,I really do! I had only started at the comic just before the last 5,but I went back and read all of them. Without stopping! I know you probably won’t read this but, Thank You. Thank you for everything. The Comics, The Podcasts, The Pixel Vision,The Black Doom Awards,and most of all, For being Awesome. From A Loving Fan, Cameron157. Does this mean we’ll have comic talk next postmortem? If you’re new to video game comics, another I suggest is “Brawl in the Family”. this is also good for the fans of 2P START! because their favorite comic is back up! um… I don’t know exactly what my point is, but I just felt like putting that out there. Well, this was a pleasant surprise. Glad to see that you guys couldn’t stay away for too long. I understand that you mainly did this to get away from the pressure the comic gave you, but could this be the beginning of a 2P START reboot? A second season, so to speak? Is the start of something. I seriously think this deserves a Black Doom Award in the next Podcast, whenever that may be. This was truly a great suprise! Great enough to make me rise from my grave! Or did I do that already? OH WELL. This is great. I am so happy now. You are officially so cool you’re awesome. That is all. confession: I still check the site everyday. I just randomly decided to check it, after several months of not doing so, to see if it was still even here… I admit I was surprised to see this, although considering it’s already been over a month since, I guess we can expect postmortems to be not only sporadic and without schedule, but extremely infrequent as well. Better than nothing though, and at least this was a good one. Yeah, this is actually quite funny. Am I the only one who gets the joke? Reading the comments, it seems almost like a repeat of “A Big Help”, where no-one got the joke because they hadn’t played NSMB yet. I just noticed this came out on my birthday! Just thought I should mention that VG Cats newest comic seams to have a similar punchline to Tim’s Pool of Money. We will never let this site die!!! Wow. 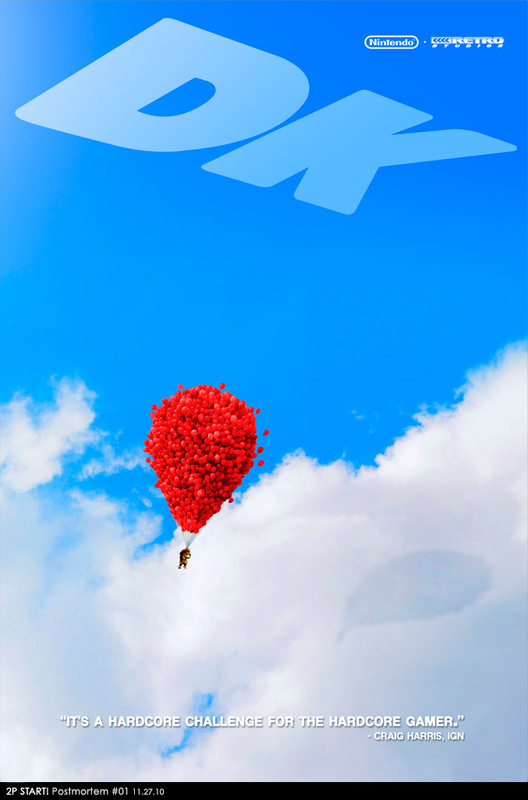 I JUST realized how the balloon logo with Ray & Tim symbolizes how this is like an extra life for you guys. Took me long enough. Please make a new comic! Man, I check this site every day! guess that means I’m RISING FROM MY GRAVE!!!!!!!!!!!!! Oh, by the way, you guys should make a video game and a movie! I bet both would sell well! Seriously guys! MAKE MOAR COMIX! WE MISS U!